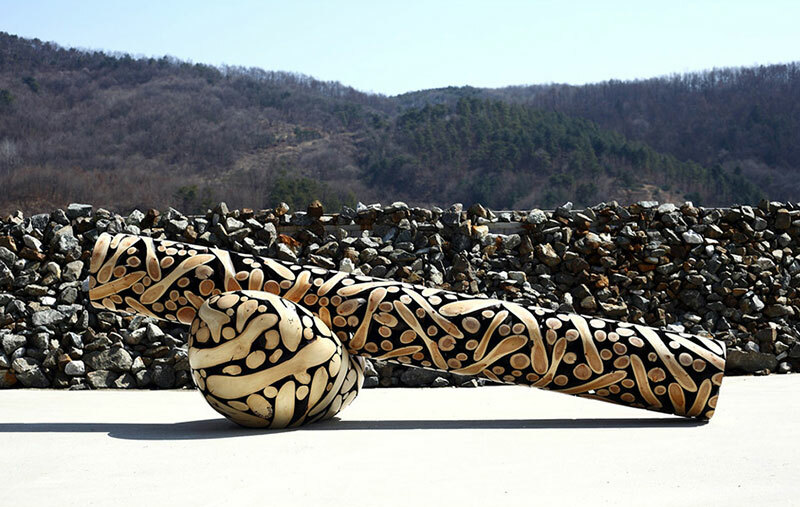 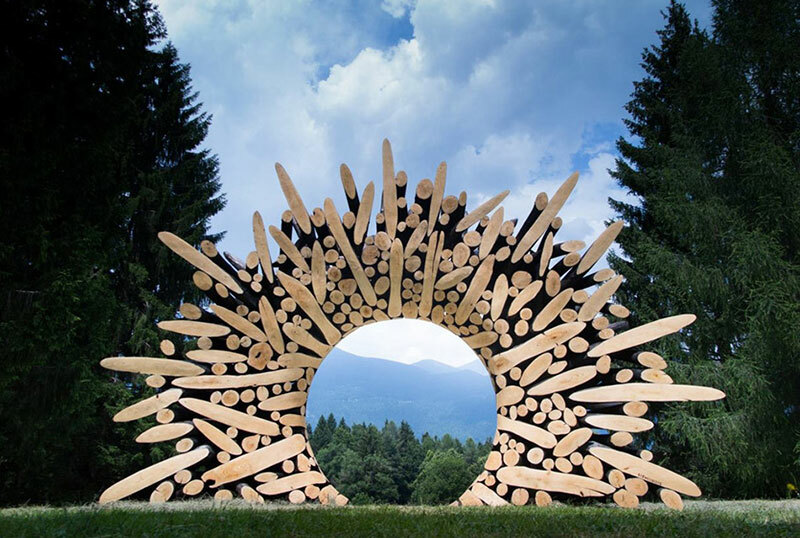 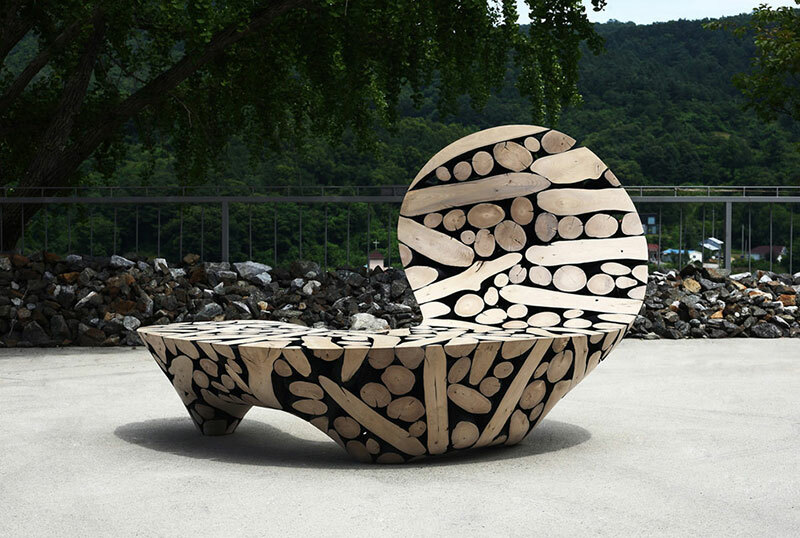 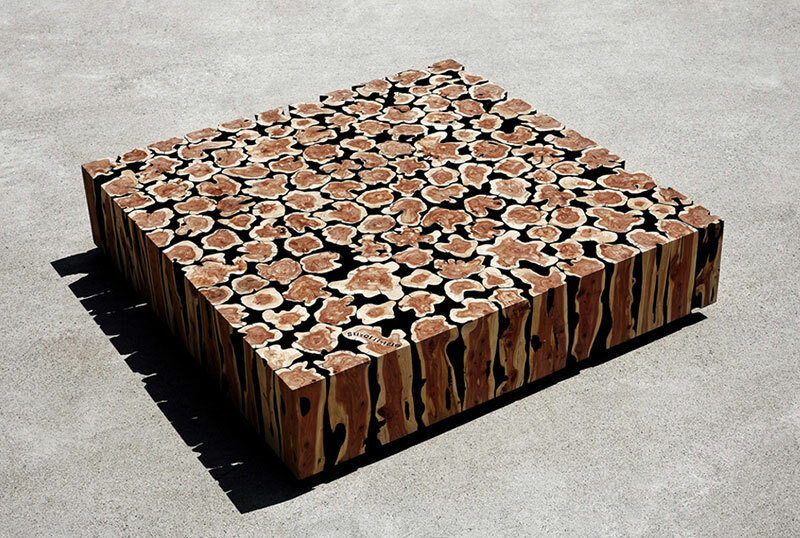 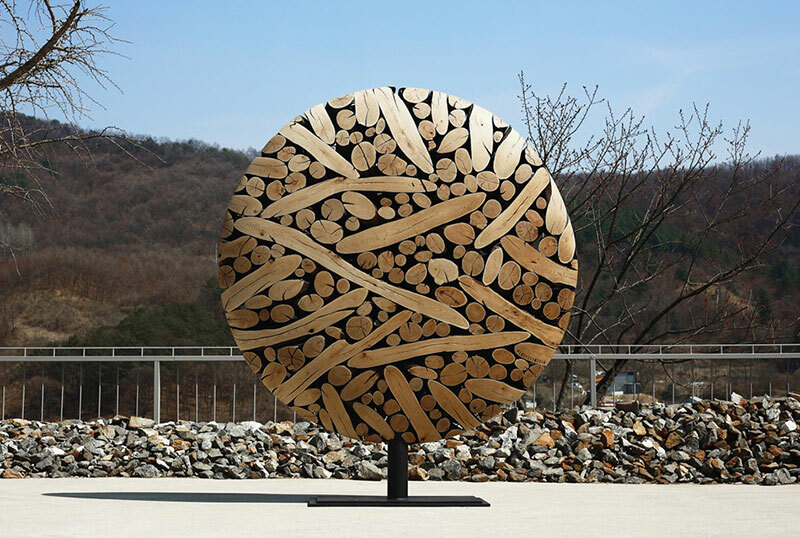 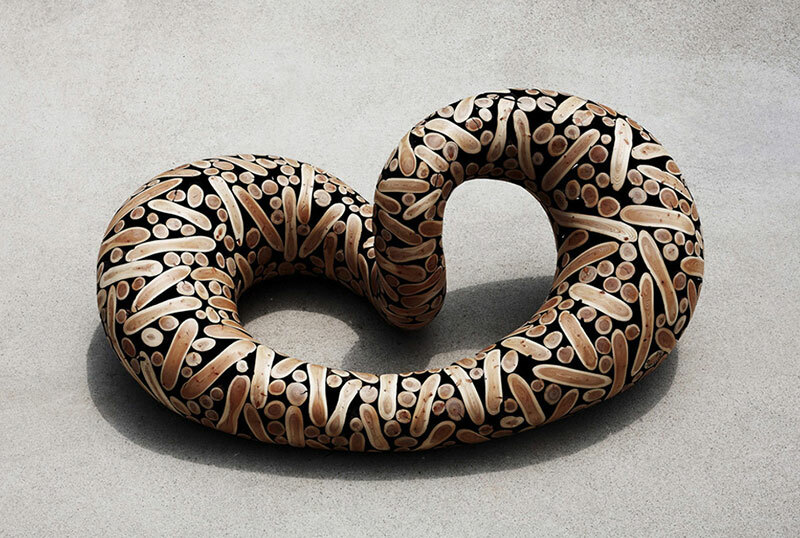 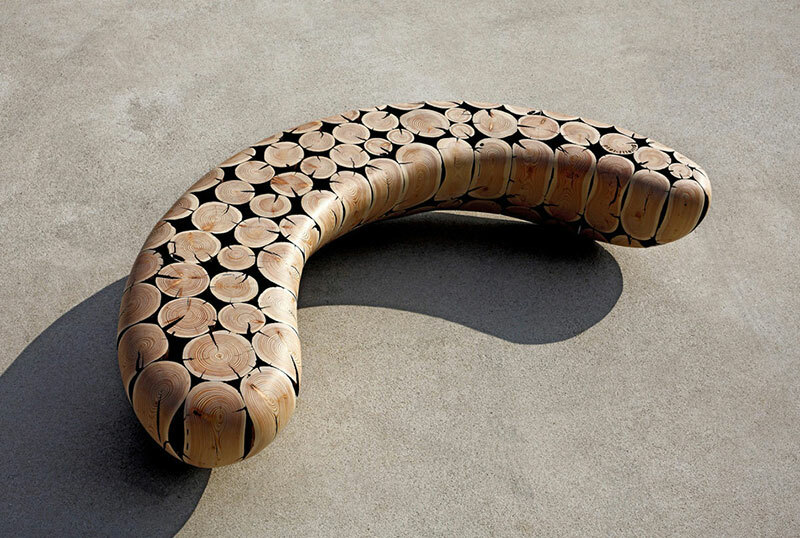 Korean artist Jaehyo Lee creates functional wood sculptures such as benches, stools, and tables alongside free-standing works resembling abstract, biomorphic forms. 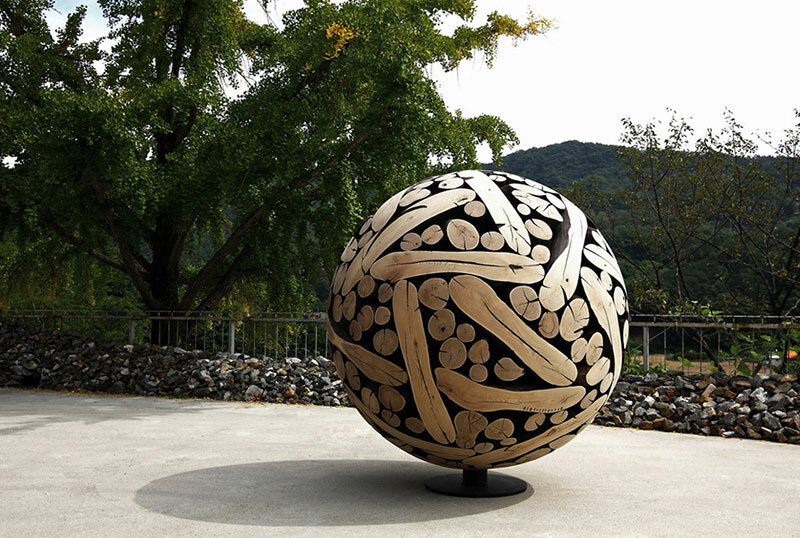 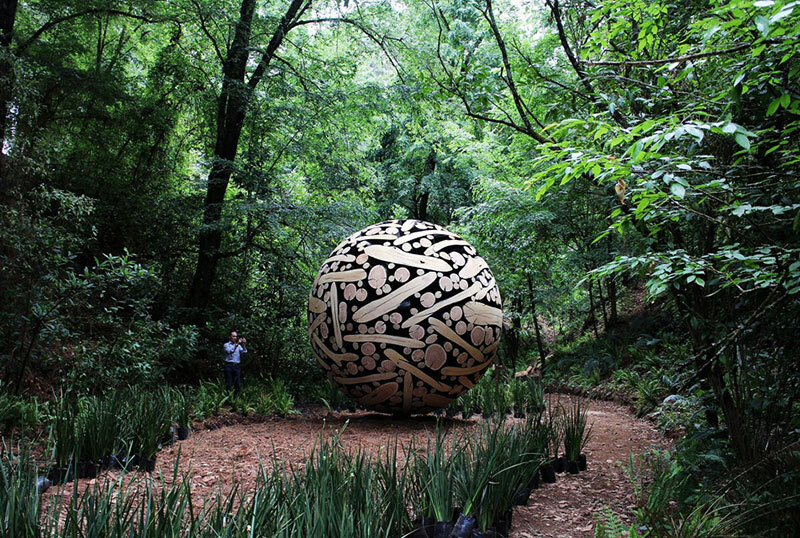 Some of his wooden sculptures might appear as though the spaces between the trunks have been filled in with a black substance but this is merely due to the effects of charring and shadows. 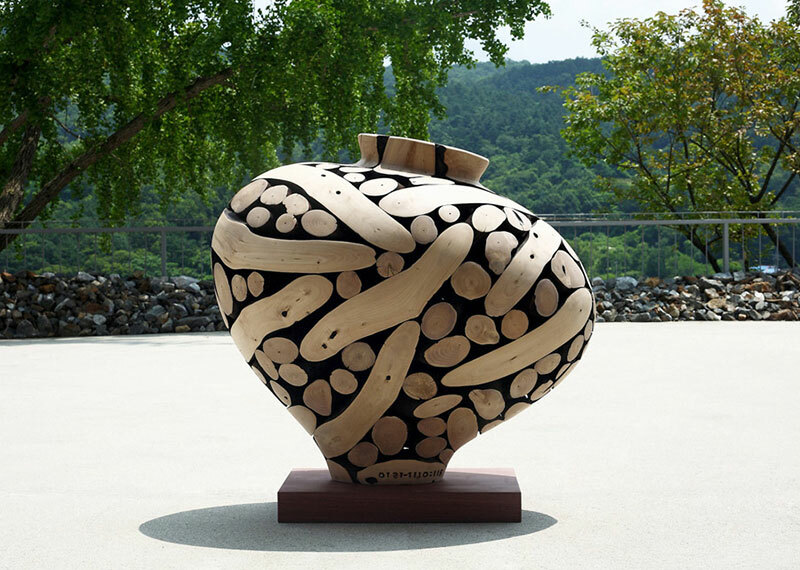 To apply a finishing touch to his wood sculptures, Lee first burns the material and then sands down the exposed surfaces to create high contrasting colors. 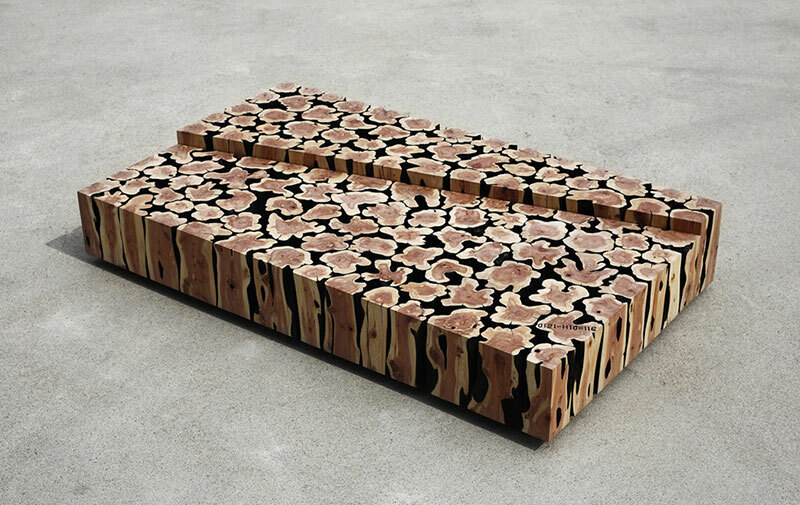 Texture is important to the artist as he emphasizes its surface characteristics and his wood-on-wood combinations read as playful meditations on the multifaceted nature of wood. 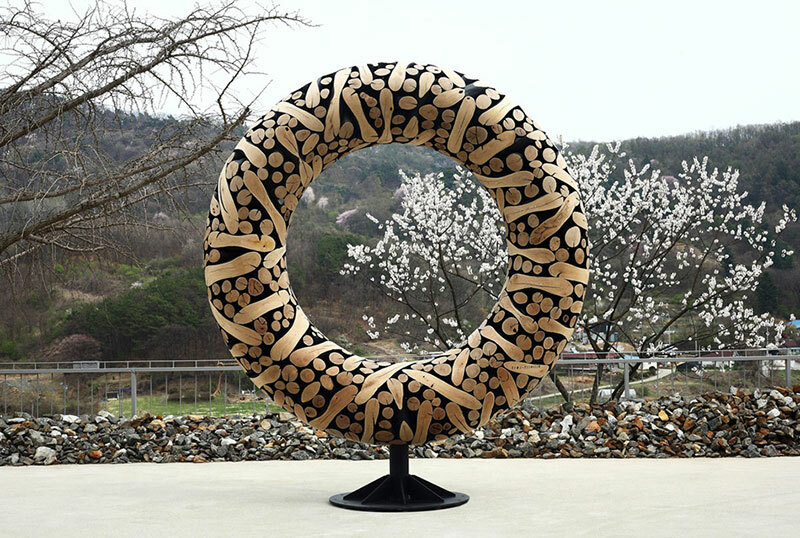 Korean artist Jaehyo Lee creates functional wood sculptures such as benches, stools, and tables alongside free-standing works resembling abstract, biomorphic forms.